As I reflect on 2015 accomplishments and set goals for 2016 there’s one accomplishment that is in the forefront of my mind and that is the marathon that I completed last month. It was a goal that I put it into the universe during brunch with a friend eight years ago when I casually mentioned that I wanted to run a marathon before I turned 40. I didn’t realize that this offhand comment made in my 20’s would stay with me and become a personal dare that would sow the seeds of a healthier lifestyle that I would adopt in my 30’s. I have never been a runner, in fact I don’t like to run so a marathon was the most mentally and physically challenging goal that I could envision for myself at that time, especially as I was feeling out of shape one year after having my first child. I was not yet 30 and I felt as though I had plenty of time to accomplish it but as I approach 40 in a few years I had been feeling like I needed to start planning more seriously. In late 2014 as I was goal setting for 2015 I decided that this would be the year that I run a marathon. I was in New York during the Christmas and New Year holiday and I began to nervously and a bit self-consciously share my 2015 marathon goal with my family and friends. The response most often was “why?” with an implied “why would you do something that you don’t like and don’t have to do?” and although I had my reasons, chief among them was the dare to myself 8 years prior, I found it hard for them to relate to my desire to create a challenge for myself that didn’t have a material benefit with all that I have on my plate. I have learned that it is in the challenges that I find my strength and confidence and I wanted to grow in a personal way that wasn’t directly about my career or family. Somewhere along the way I learned that Istanbul was the only marathon where one could run across two continents (Asia and Europe) and the marathon takes place in November so I had nearly a whole year to train. Many marathon training programs that I read about were only 4 months and although I considered myself to be in decent shape, I wanted to give myself adequate time to train at my pace while balancing my work and family commitments. 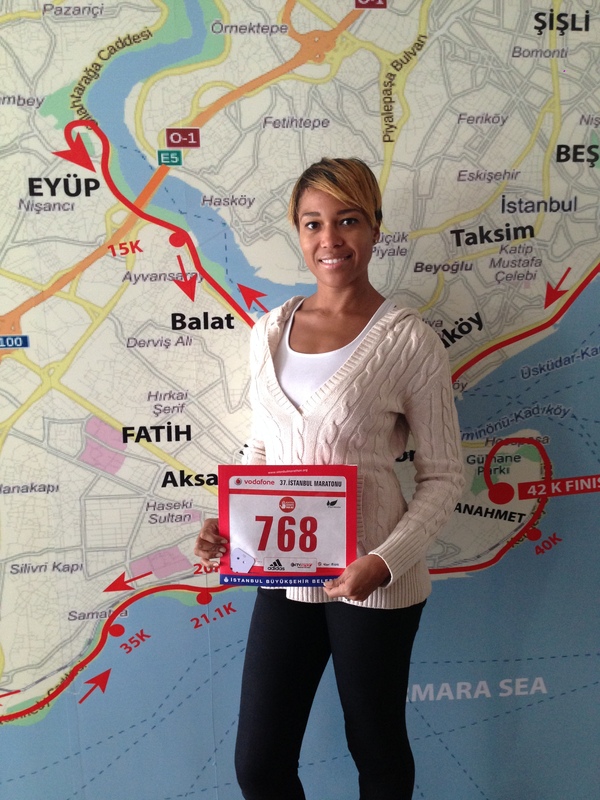 I registered for the Istanbul marathon in February 2015 and didn’t look back. I began running in January and I initially struggled to complete 5k without stopping; my timing and endurance were abysmal but I kept at it. 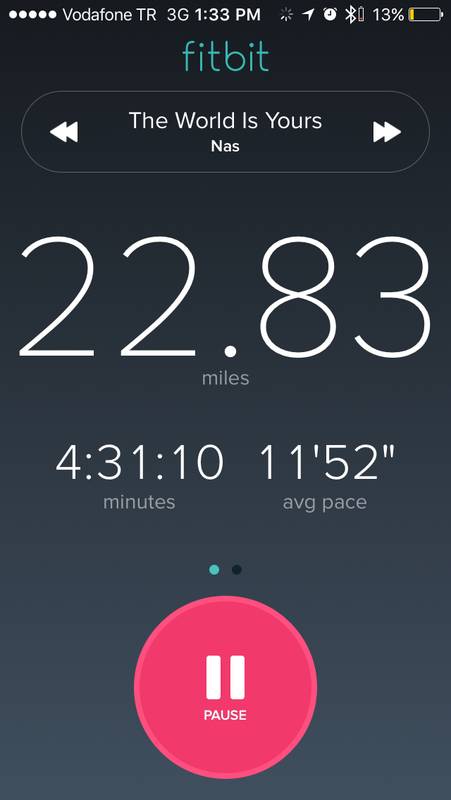 I was running 2-3 times per week and within 3 months I could run 10k non-stop in under an hour. I was happy with the endurance that I was building but by April I had relaxed…and by relaxed I mean that I took a month off. This was partly due to knee pain that I started to experience after running exclusively on a treadmill while neglecting all other body strengthening and conditioning. This was my first lesson learned the hard way; I needed a holistic workout and I couldn’t ignore the other aspects of my fitness. I was also feeling a bit like the hare in the story of the tortoise and the hare; since I had progressed to 10k in 3 months and I had 6 months left, I told myself that I could slack off a little. I incorporated total body workouts into my training and I registered for 5k and 10k fun runs to give myself interim milestones to stay motivated. By the spring I was ready to take my running outdoors but I felt limited by the fact that I developed blisters whenever I ran over 5 miles. I tried different combinations of socks, sneakers and bandages but nothing seemed to help and since I was running so frequently my feet never seemed to heal before I reinjured them. I didn’t want to slack off my training again but I was starting to lose confidence that I would have a successful run because I knew that I could not run for 26 miles on blistered feet. A month before the marathon I decided to heed the advice of several wiser and more experienced friends who advised me to go to a running store and get my feet and gait analyzed so that I could be fitted for a more comfortable running sneaker. I regretted being so stubborn and not taking their advice sooner as this made a tremendous difference, although not initially. 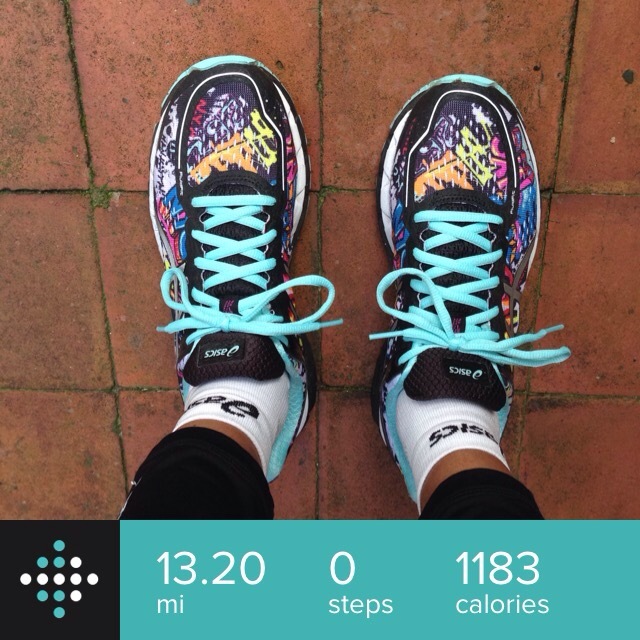 I still developed blisters during my first 10 mile run wearing the new sneakers but never again afterwards. I planned to ramp up my distance training in the month prior to the marathon since I had only run a half-marathon up to that point but I didn’t factor in how my back to back travels to the South of France and Barbados in the two weeks prior to the marathon would derail my training plans, not to mention the toll that the travel would take on my health. I returned from Barbados the Monday before the marathon with an awful cold, the likes of which you can only get after 18 hours of flying and 72 hours of celebrating. Barely recovered and not feeling totally ready and after nearly a year of self-training ebs and flows, the time finally came. I booked a four day trip (Friday to Monday) for me, my two children and my friend’s daughter who would watch my children while I ran the marathon. On Friday morning I awoke to every traveler’s worst nightmare…my flight had been cancelled after scrambling to rebook a later flight, I arrived in Istanbul late on Friday evening. I got an early start on Saturday to pick up my race pack and see the sights of Istanbul since it would be my only full day to explore. After a full day of the Haga Sofia, Blue Mosque and Grand Bazaar, I retired relatively early on Saturday evening and tried to get sufficient rest for the marathon the following day. Ready or not it was marathon day and with my prayers said and flu medication taken the night before, I was as ready as I was going to be as found my way to the shuttle pick up point at 7AM and eventually to the start line. There I stood alone in a sea of over 4,000 people from over 100 different countries. I met runners from the US and China as well as locals from Turkey, including a few that asked to take pictures with me for reasons I can only assume. 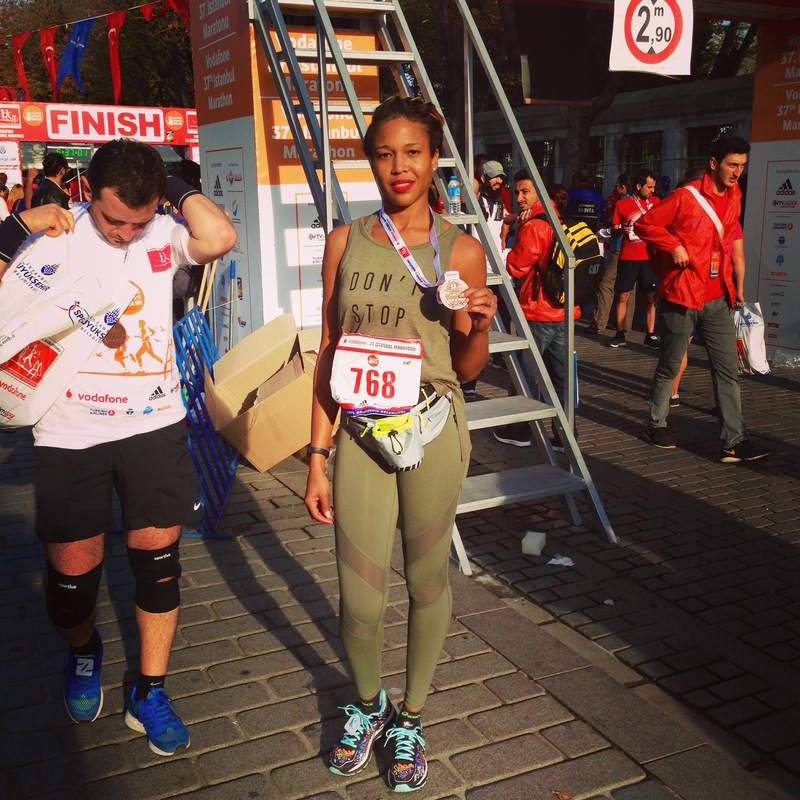 I understood in that moment and from the reaction of some of the crowd as I ran by, just how uncommon it was for a Black American woman to run a marathon in Istanbul. I took for granted that the rest of the world is as familiar with “Black Girls Run” as I am. Several of my friends in the US have run marathons before so I knew this wasn’t that big of a deal but I had to recognize that I was creating a different impression for people who’s ideas about Black American women are formed based on the media. I wasn’t the only Black American woman I saw, but I was one of very few. There were runners of all ages, ethnicities and experience levels but none of them concerned me; I was there to run my race at my pace. It was a bright, clear morning with a slight chill in the air that warmed to mid-60s by noon but felt like 20 degrees warmer on the unshaded asphalt. Standing on the Asian side of the Bosphorous bridge the starting horn sounded and 1 minute and 57 seconds later I crossed the start line. I waved as I passed the local politicians and media at the start line and turned up my music to tune out any distractions. I normally have a million thoughts flooding my brain as a run…husband, kids, work, friends, bills, home, etc., but this time my mind was clear as I could only think about putting one foot in front of the other and maintaining my breathing rhythm. I occasionally checked my Fitbit and was happy with my pace during the first 8 to 10 miles of the marathon. There were local spectators and children in the streets cheering and encouraging me with high fives as I passed through some of the less touristy areas. I was starting to feel the fatigue of the sun but I had far too long to go so I pushed on. I struggled through mile 12 and started to slow down by mile 14 and used one of my life lines to try to call my husband in London but got no answer so I sent a What’s App message to one of my closest friends in New York. Although it was about 4:30AM, she responded immediately “We’re so proud of you keep going!!! Keep pace”. I continued on, albeit slower than the first half but I knew that I had to finish by 2:30PM to meet my children and relieve my friend’s daughter to catch her flight. There was also a vicious rumor that started to circulate that runners that finished beyond 5 ½ hours would be disqualified. Biggie and Nas were blasting in my Powerbeats as I alternated running and walking amongst a now thinner crowd than the dense one that I started with. “Who’s World Is This” was my anthem and I answered the question with every step. 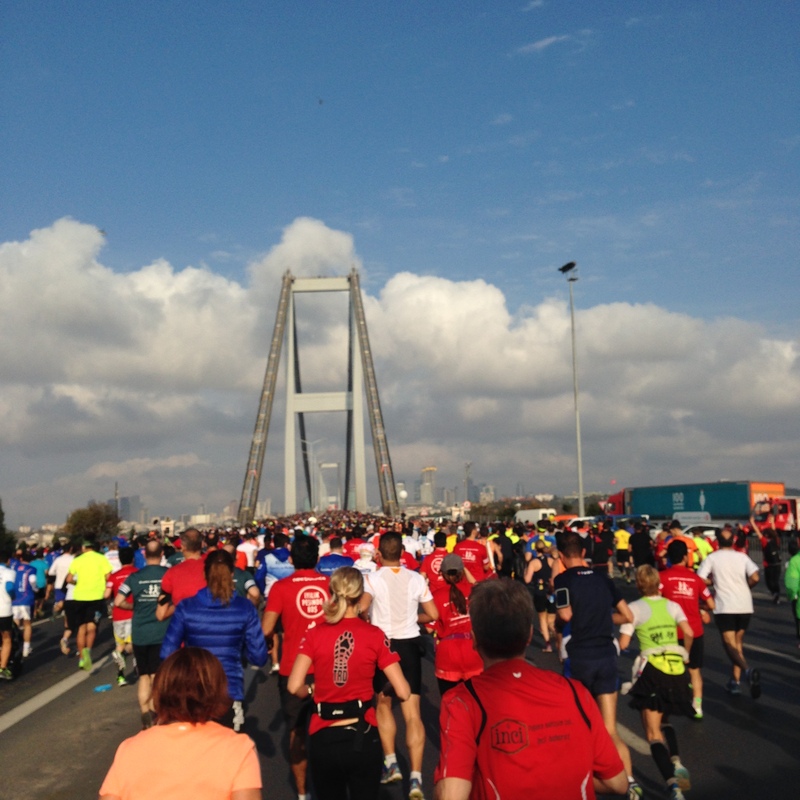 I managed to suppress the physical and mental exhaustion enough to live in the moment and take a few pictures while letting it sink in that I was running a marathon…in Istanbul, Turkey…me, from Brooklyn. I was manifesting the words that I had spoken 8 years prior in a place that I had never imagined at that time. As much as I wanted to savor the moment I had to keep going, I had to get my kids and I had to finish, but by mile 20 I felt totally depleted. I had taken 2 gels and I was sufficiently hydrated but I was empty. I had spoken to my children earlier and given them my ETA based on my pace up to that point but that was an impossible time goal by mile 20 and I had to adjust my expectation which became to simply finish. I also spoke with my husband who encouraged me but no amount of phone calls or text messages could save me from the fact that I had to finish this just as I had started, ALONE. Before I could allow myself to sink into my emotions, a Turkish man passed me and with a small hand gesture waved me on to keep running. I started running and he started walking and we continued on leapfrogging one another for the next mile or so and we walked and ran together for the last 4 miles. We compared time and distance in our GPS trackers and estimated that at our pace we should finish just under 5 ½ hours. We got to last 2 km of the marathon which was uphill and as merciless as I had read about and I felt like I couldn’t take another step. I told my partner to go on and not to sacrifice his finishing time for me. I walked up the hill and then jogged until I could see the finish line with the clock calculating the elapsed time of the marathon counting up to 5 hours and 28 minutes. I mustered the energy to run the last few yards to cross the finish checkpoint at 5:30:02. My official finish time is 5 hours, 28 minutes and 5 seconds and the rumor about being disqualified after 5:30 was just that, a rumor. I found my running partner waiting for me as I crossed the finished line and congratulated him and thanked him for his encouragement. I received my finisher’s medal and t-shirt and found my children who seemed more excited and proud of me than I was. I was too exhausted to feel all of the emotions that I thought I would feel, besides I had to focus on getting my friend’s daughter off to the airport and finding a place to eat. Also my husband was concerned for our safety on the heels of the terror attacks in Paris just two days prior and kept calling and texting me to hurry up and leave the crowded area of the marathon finish, Haga Sofia and Blue Mosque area. I made my way back safely to my hotel on the Asia side of Istanbul where the enormity of what I had just accomplished had finally set in. The adrenaline kept me up as I wrote bullets of the lessons that I applied and learned from the marathon while they were fresh in my mind. Here are a few; many are hardly original but took on new meaning though this journey. Set a goal and follow an outline but it’s ok to make up some of your own rules as you go – blaze your own trail. Tell people your goals to build accountability partners; plus you never know who you will inspire. 80/20 rule; you don’t have to run the full marathon to be sufficiently prepared; you only need most of it. Don’t wait until you have all of the answers to jump into the race. You can have it all, just not all at the same time. Some things took a back seat: Saturday morning sleep, comfort, other physical training because my body needed recovery. I don’t know if I will ever run another marathon; I don’t have any plans to but I never say never. I am setting my sites on other goals to accomplish in 2016…look out! Thank you, that’s awesome! It has been a great outlet and I really learned a lot about myself through this process. I hope you gain a lot from it as well. Happy running! Great report. I would love to race in an exciting / exotic place like Istanbul. Maybe another marathon in the future for you? I never say never. I have a few other ideas for 2016 that I hope to share soon. All I got is you are the BOMB.COM and welcome to 1%!!!! Lol! Thanks Yona!!! Your compliment really means a lot to me…you are definitely one of my top running inspirations.